International Melbourne-based playwright Mark Andrew marks his 2011 Melbourne Fringe Festival debut with 'Bomb The Base', a new play for the stage.On the eve of her uncle’s funeral within 9/11’s lengthening shadow an eloquent, jet-lagged ALICE returns from Washington to her own personal Ground Zero. Complex personal relationships and global political alliances again prove irresistible battlefields Mark Andrew. 'Bomb The Base' fearlessly examines themes of trust, power in all its forms and the unspoken, dark places that we are all afraid to go. Engaging, yet demanding, the global premiere of 'Bomb The Base' detonates at Studio 246, Brunswick, Oct 4th to 8th. International Melbourne-based playwright Mark Andrew marks his 2011 Melbourne Fringe Festival debut with 'Bomb The Base', a new play for the stage.On the eve of her uncle’s funeral within 9/11’s lengthening shadow an eloquent, jet-lagged ALICE returns from Washington to her own personal Ground Zero. “Nobody wants to be around when they drop the bomb”, declares an eloquent, yet jet-lagged ALICE. Within the lengthening shadows of 9/11, ALICE (Christina Walls) returns home to where the past is another country. On the eve of her uncle’s funeral, ALICE stands upon the precipice of a very personal Ground Zero to confront her silent truths. Throughout ’Bomb The Base’, complex personal relationships again prove an irresistible, familiar battlefield for Melbourne-based international playwright Mark Andrew. Set inside the spectre of 2003’s Bali bombings, 'Bomb The Base' extends Mark Andrew’s theatre of war to include international political alliances. It weaves intelligent thematic dissertations into fearless examinations of trust, power in all its forms and the unspoken, dark places that we are all afraid to go. 'Bomb The Base' asks why we live out part of our lives as a secret. Accessible and moving theatre, it also has much to say about power and relationships. Through ALICE, we are asked to reflect upon our own personal truths. Spending time reconnecting with family - MUM (Janet Watson-Kruse) and DAD (Peter Taranto) - ALICE picks away at truths about the ties that bind us together. Withdrawing deeper into her past, she recreates long forgotten pictures of relationships with EDDIE (Dyllan Corbett), UNIVERSITY LECTURER (Charlie Schneeberger) - even her beloved UNCLE TED. The specialist in modern political history realises much has altered. Working as policy analyst and advisor in Washington DC, time away has also given ALICE a new perspective on Australia’s biggest ally. Demanding attention yet engaging, 'Bomb The Base' offers rich rewards for the emotional and intellectual investment required. It confronts and questions our preconceptions about contemporary politics, family ties and issues around power – who has dominance and why. Mark Andrew says 'Bomb The Base' began with the idea of family power structures being analogous to other power structures. We’re all experts at self-deception. Maybe it’s time for ALICE to realise the whole truth. Sharp and courageous in its originality, 'Bomb The Base' will stun audiences with one of Melbourne Fringes’ most memorable images. It marks the 2011 Melbourne Fringe Festival debut of international Melbourne-based playwright Mark Andrew and ReAction Theatre. The global premiere of 'Bomb The Base' detonates at Studio 246, 246A Sydney Rd Brunswick, Oct 4th to 8th. Set inside the spectre of 2003’s Bali bombings, 'Bomb The Base' sees the eloquently jet-lagged ALICE return home to her own personal Ground Zero. Working as policy analyst and advisor in Washington DC, the specialist in modern political history realises much has altered. Time away has also given ALICE a new perspective on Australia’s biggest ally. On the eve of her uncle’s funeral within 9/11’s lengthening shadow, ALICE spends time reconnecting with family – MUM and DAD – while picking away at truths about the ties that bind us together. Withdrawing deeper into her past, she recreates long forgotten pictures of relationships with EDDIE, her UNIVERSITY LECTURER and even her beloved UNCLE TED. Mark Andrew is a playwright with over 30 productions in five countries. His work has been published in four compendia of works by international playwrights, including the UK's Wireless Theatre's Monologues edition. His next publication will be in New York publisher's Smith & Kraus 2011 Best Plays compendia. Mark is currently writer in residence for the Melbourne Writer's Theatre 2011 season at the Carlton Courthouse, where his play 'Time's Arrow' will run for two weeks in November. He has been a frequent contributor to Short + Sweet festivals, and has been selected for three gala finals. 'Bomb The Base' marks his 2011 Melbourne Fringe Festival debut. ReAction Theatre is an independent Melbourne based theatre company dedicated to producing dramatic works of truth and beauty. Our mission is to create collaborative performances that inspire, provoke and move audiences. ReAction Theatre is committed to excellence in performance by preserving moment-by-moment reality, emotional truthfulness and the actors’ inner freedom. Our focus is primarily on producing new and contemporary Australian pieces and reinterpreting traditional plays. We are aiming for the highest quality work in an environment that strives to support and nurture writers, cast and crew alike, so that they develop in their craft. Mark Andrew, Louise Howlett and Cast are available for interviews. Actors bio's and headhshot's also available. Janet Watson Kruse - Role of MUMA dedicated and versatile actor with experience in theatre, Australian feature and short films, TV, commercials, voiceover, role play and corporate videos, Janet recently appeared in ‘Neighbours’ as the grim but kind social worker Roz Challis. Other recent roles include: Ruth (‘Cosi’), earth mother Jan (‘Godsend’, TV pilot) and Robyn (international award-winning webisode ‘Ozgirl’). She was also Tessa (lead, award-winning 2003 feature ‘Finding Joy’). Janet has also toured with the New Theatre Company in ‘This is What Happened’, directed by Brenda Palmer. Janet has also performed at more than a hundred advanced communication workshops for cancer clinicians, giving oncologists, nurses and other clinicians an opportunity to practice advanced skills with a very real ‘patient’. 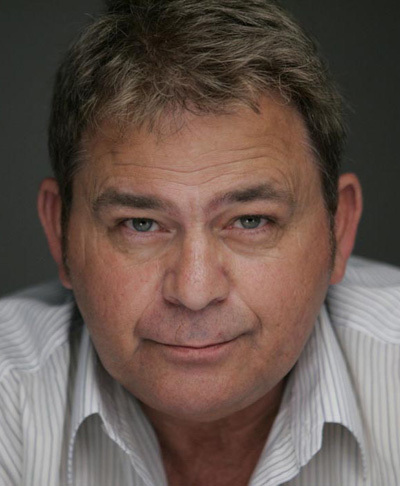 Peter Taranto - Role of DADStarting his acting career at The National Theatre Drama School, St Kilda in the early 80’s, Peter was nominated for best actor for his portrayal of the Victor/Hugo Twins in the French comedy ‘Ring Round the Moon’. Working as a presenter for Movieworld (Queensland), Peter also TAFTA. He also worked in various film and TV productions including: ‘Wayne’s Manifesto’, ‘Flipper’, ‘Thornbirds’, ‘Time Trax’,’Butterfly Island’, ‘Mission Impossible’, ‘Black Ice’, ‘The Phantom’ and ‘Fortress’. 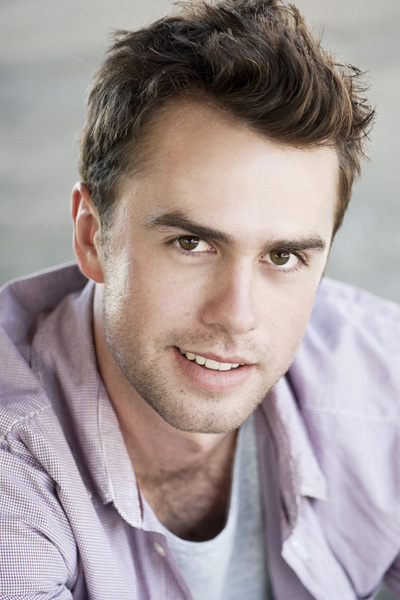 Peter latest work in several Melbourne-base short films and a guest role in ‘Monash the Forgotten Anzac’, ‘Rush 3’, and ABC’s ‘Miss Fisher’s Murder Mysteries’. Dyllan Corbett - Role of EddieFrom a young age Dyllan Corbett’s acting credits include roles in television commercials and numerous theatre productions. He has performed in several commercials for Red Rooster, M & M’s and Worksafe, with a guest role on ‘RUSH’. He has worked with some of Melbourne’s most talented directors, including roles in ‘Chocolate Cake’ (Melbourne International Film Festival) and indie-film ‘Vapour Boys’. He has recently graduated from Swinburne University as a writer and director with his film ‘She Smokes a Fake Cigarette’. He returned to stage award winning play ‘Chun Li’ which was directed by Louise Howlett for the Short & Sweet Play Festival in 2010. Charlie Schneeberger - Role of ProfessorNew to the Melbourne Theatre scene, Charlie spent the last decade in London training at the Actors’ Temple. He has completed extensive study in the Meisner Technique, which he is continuing at the Actors’ Playhouse, Melbourne. Charlie appeared as Marcus in ‘Bang Your Dead’ at the first Bedfringe, Bedford Fringe Festival, UK. 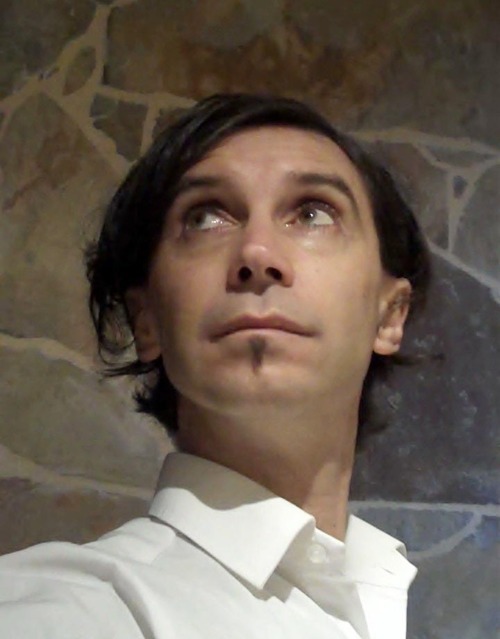 Writer – Mark AndrewMark Andrew is a playwright with over 30 productions in five countries. His work has been published in four compendia of works by international playwrights, including the UK’s Wireless Theatre’s Monologues edition. His next publication will be in New York publisher’s Smith & Kraus 2011 Best Plays compendia. Mark is currently writer in residence for the Melbourne Writer’s Theatre 2011 season at the Carlton Courthouse, where his play ‘Time’s Arrow’ will run for two weeks in November. He has been a frequent contributor to Short + Sweet festivals, and has been selected for three gala finals. 'Bomb The Base' marks his 2011 Melbourne Fringe Festival debut. 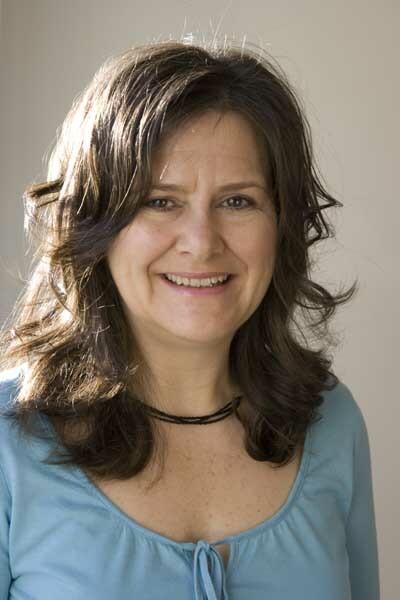 Director – Louise HowlettA Director, Actor and Drama teacher of some 20 years experience, Louise recently directed ‘Chun-Li’ by Camilla Maxwell, a finalist in Melbourne’s 2010 Short and Sweet Festival, and 'Proof' by David Auburn at The Mechanics' Institute. 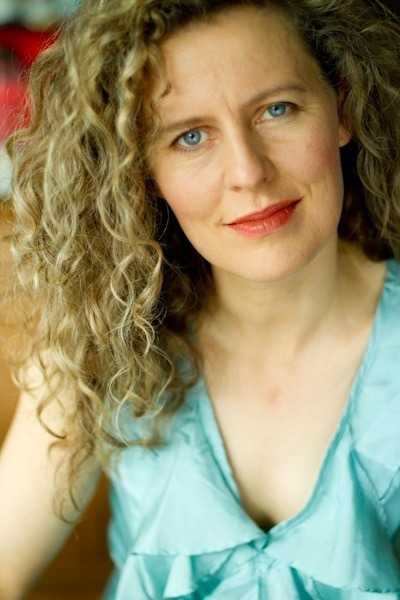 As an actor, Louise trained in the Meisner Technique and, over the years, has performed at LaMama theatre, Chapel of Chapel, Victorian Arts Centre, as well as in a wide variety of advertisements, short films and television shows. Louise enjoys directing work in different styles and genres. She is most interested in theatre that pushes boundaries in both form and content to challenge preconceptions and confront complex issues. Richard Lyford-Pike - Sound and Light DesignSince the age of eight Richard has been engulfed within the craft of creativity, music, film, lighting, theatre, design and architecture. 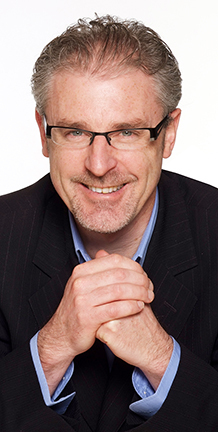 He has been a practicing musician for thirty years, studied architecture, film, music, interior design, landscaping design as well as domestic and commercial lighting at Universities and Tafe institutions in Melbourne and Brisbane. Richard has worked on landscape lighting for three and a half years and stage lighting for companies in Brisbane at the major stadiums as well as lighting director for theatre productions in Melbourne. The most recent works have been for the productions of ‘Daisy’ written by Terry Mervin and ‘Our man in Beijing’ written by Dr. Moni Storz. 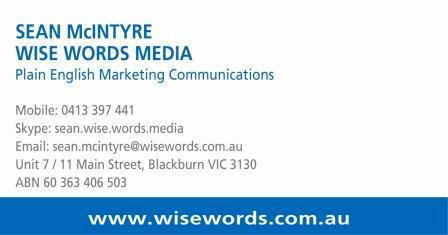 Sean Mcintyre | Wise Words MediaWise Words Media are experts in 'plain-English' marketing communications. www.wisewords.com.au Wise Words Media | Contact Uswww.wisewords.com.au 'BOMB THE BASE'A play for the stage by Melbourne-base international Playwright Mark Andrew. Presented by ReAction Theatre (http://reactiontheatre.com.au/) Christina Walls - Role of ALICEWith a depth of experience in the Melbourne theatre, film and television scenes, Christina has also trained extensively at LA’s Margie Haber Studios and The Neighborhood Playhouse, School of the Theatre (Manhattan, New York). 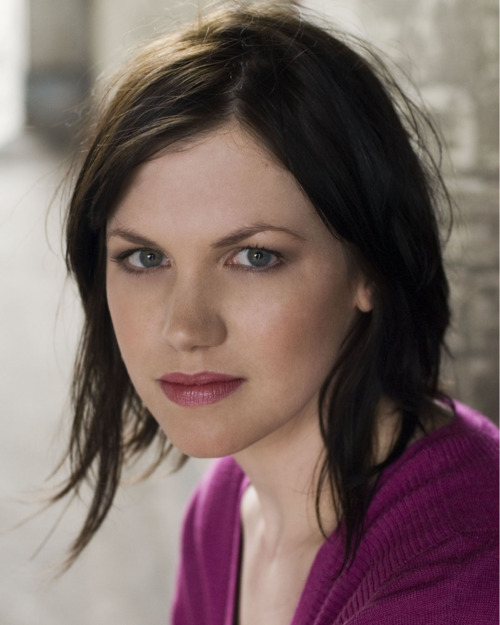 She has also studied the Meisner Technique at the Actors Playhouse (Melbourne) as well as RADA(London) and holds Bachelor of Performing Arts (Melbourne). Her credits include Clare in ‘Proof’ (Pacthouse Productions), Angel in ‘Disjointed Story’ (Cast and Crew Productions), ‘A Time for Everything’ and ‘Double Dana’ for the Short and Sweet Festival. She has appeared in a Regional TAFE advertising campaign and most recently she has had a small role on Channel 7’s ‘Winners and Losers’.